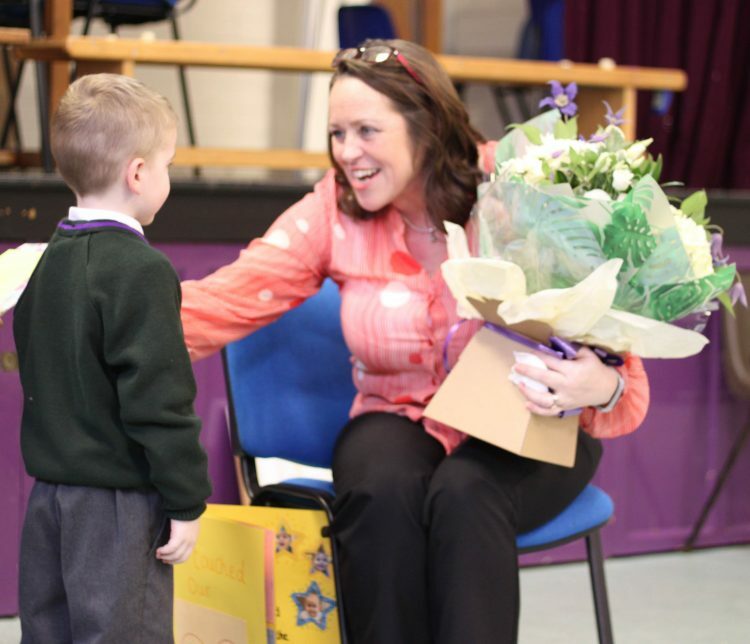 The children at Nursery & Infant School said a fond farewell to Nursery Manager, Mrs Church, who begins her retirement today.In a special assembly, Mrs Dixon explained how Mrs Church reminded her of different story characters, from Mary Poppins (because she keeps things nice and tidy) to Buzz and Woody from Toy Story (because she is a good friend). 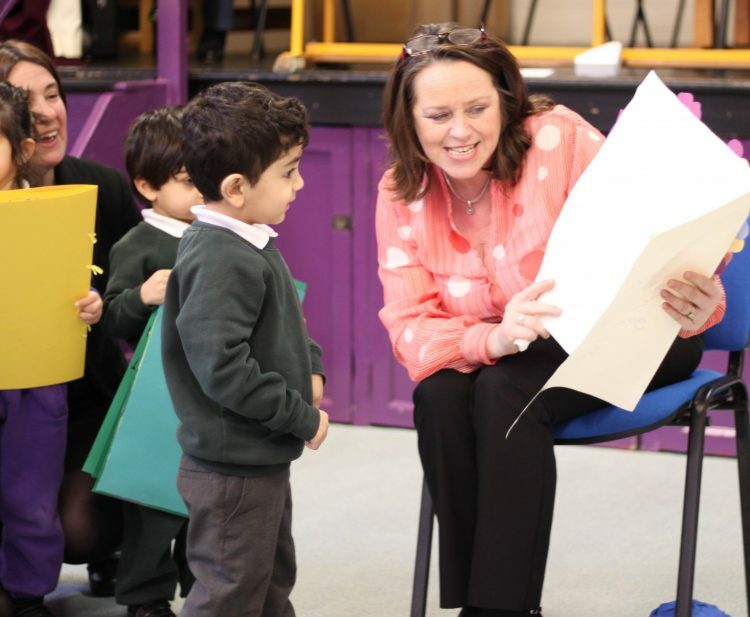 Some of the children had also been filmed saying special messages to Mrs Church which left her with a tear in her eye! 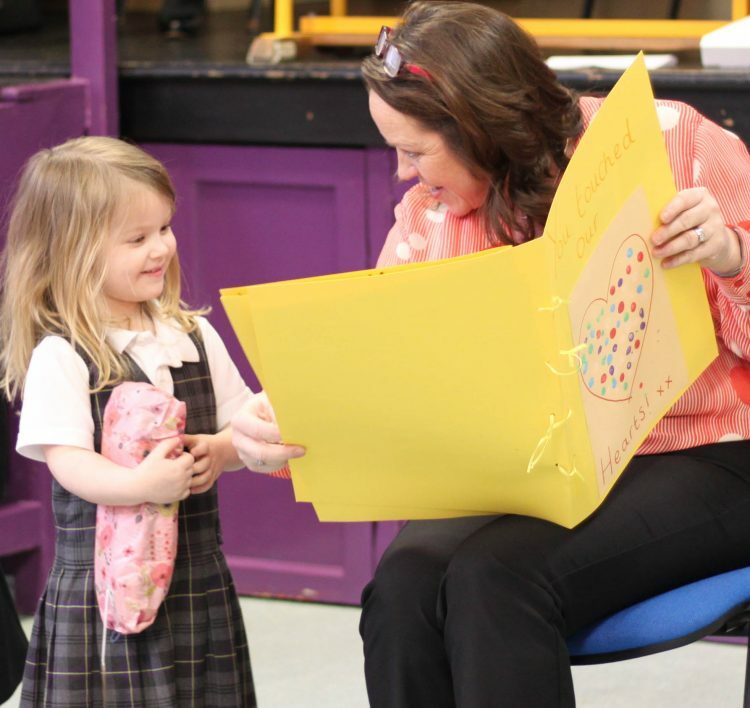 The children presented Mrs Church with some cards and gifts before Mrs Barnett and the whole school gave her three big cheers. We wish Mrs Church all the best as she leaves to start a new life with her husband in Scotland, in their cottage which has been a restoration project for the couple for many years.